Inflammation of the joints (arthritis) is a major symptom of many of these disorders, but all other organ systems (such as muscles, heart, lungs, blood, kidneys, and skin) can be involved. Several of these diseases, such as gout and infectious arthritis, are well understood and the treatment is straightforward. Others, which involve alterations of the body’s immune system, such as rheumatoid arthritis and systemic lupus erythematosus, are less well understood and more difficult to treat. In order to serve our patients more effectively, our doctors see patients only by appointment. If you have signed up for our Patient Portal, you may request an appointment by logging in to the portal and sending a request. You can also make an appointment with one of our physicians by calling 828-258-9533 between 8:00 am and 5:00 pm Monday through Thursday and 8:00 am until 12:00 pm on Friday. If you are unable to keep your appointment please inform us at least 24 hours in advance so that other patients may be scheduled. We feel that it is not good medical practice to renew routine medications without access to a patient’s medical record. For this reason, prescription refills should not be requested except during regular office hours. Certain medications, including pain medications and others to which Federal Drug Control regulations apply, will not be refilled outside of our regular office. 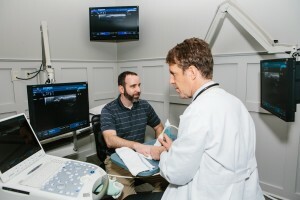 Asheville is a sophisticated medical community, with an award winning medical center and an excellent variety of well trained medical and surgical specialists. Asheville itself is a notable destination, located in the heart of the Blue Ridge Mountains, often listed in national magazines as a top ten location for travel, retirement, mountain sports, and more. Interested applicants may send their CV to gaye@ashevillearthritis.com. If required by law: The use or disclosure will be made in compliance with the law and will be limited to the relevant requirements of the law. Special government purposes: Information may be shared for national security purposes, or if you are a member of a military, to the military under limited circumstances. Business Associates: Some services are provided through the use of contracted entities called “Business Associates”. We will always release only the minimum amount of PHI necessary so that the business associate can perform the identified services. We require the business associate(s) to appropriately safeguard your information. We may share your information with family members, or other persons directly identified by you at the level they are involved in your care or payment of services. If you are not present or able to agree/object, the healthcare provider using professional judgment will determine if it is in your best interest to share the information. For example, we may discuss post procedure instructions with the person who drove you to the facility unless you tell us specifically not to share the information. Written authorization simply explains how you want your information used and disclosed. Your written authorization may be revoked at any time, in writing. Except to the extent that your doctor or this practice has used or released information based on the direction provided in the authorization, no further use or disclose will occur. You have certain rights related to your protected health information. All requests to exercise your rights must be made in writing. Request should be addressed to the Practice Administrator at Asheville Arthritis & Osteoporosis Center, 4 Vanderbilt Park Dr., Suite 200, Asheville, N.C. 28803. This means you have the right to review or obtain a copy of your protected health information. If requested we will provide you a copy of your records in an electronic format. There are some exceptions to records which may be copied and the request may be denied. We may charge you a reasonable cost based fee for a copy of the records. Here is one exception: we must accept a restriction request to restrict disclosure of information to a health plan if you pay out of pocket in full for a service or product unless it is otherwise required by law. This notice was published and becomes effective on September 17, 2013.